The remote detection of chemicals using remote Raman spectroscopy and laser-induced breakdown spectroscopy (LIBS) is highly desirable for homeland security and NASA planetary exploration programs. We recently demonstrated Raman spectra with high signal-to-noise ratio of various materials from a 430 m distance during daylight with detection times of 1–10 s, utilizing a 203 mm diameter telescopic remote Raman system and 100 mJ/pulse laser energy at 532 nm for excitation. In this research effort, we describe a simple two-components approach that helps to obtain remote Raman and LIBS spectra of targets at distance of 246 m with 3 mJ/pulse in daytime. The two components of the method are: (1) a small spectroscopy system utilizing 76 mm diameter collection optics; and (2) a small remote lens near the target. 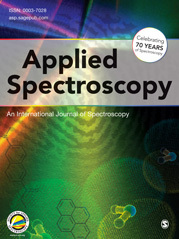 Remote Raman spectra of various chemicals are presented here with detection time of 1 s. Remote LIBS spectra of minerals using single laser pulse of 3 mJ/pulse energy from a distance of 246 m are also presented. This research work demonstrates a simple approach that significantly improves remote Raman and LIBS capabilities for long range chemical detection with compact low laser power Raman and LIBS systems.